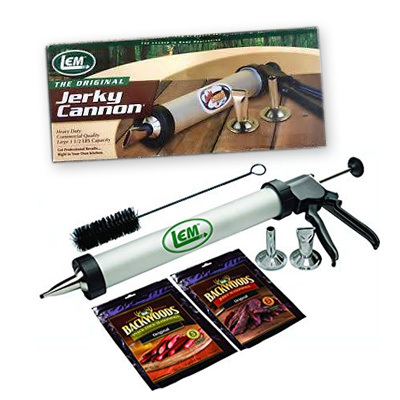 LEM Jerky Cannon. Heavy duty drive with plastic coated cast aluminum handle. Holds 1.5 lbs of meat.